Passion Fruit – beauty and fragrance invoked here. And long overdue this is. 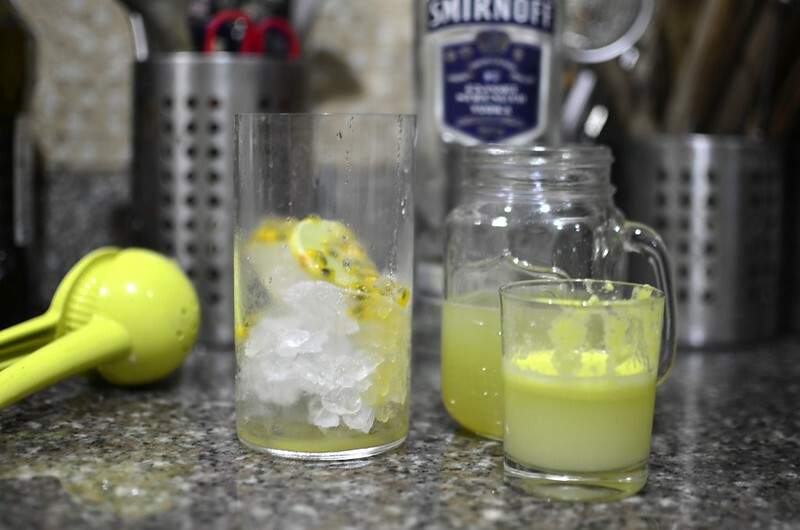 I must confess it has all my favourite juices in a glass: the floral acidity of passion fruit the clean refreshment of cucumber juice the sweet of sugar cane and the citrus burst from lime juice. Did I mention the lightness of head from the colourless, tasteless vodka? Since forever, since Mango season, I’ve wanted to make a passion fruit cocktail and I’m glad I finally did. This drink is one you’ll need to make up to your taste. Some help? I juiced some of the passion fruit and added a touch of sugar for a bit more sweet. On ice? Heaven. I had this on a Sunday evening and then I went to bed. Taste buds deeply soothed. 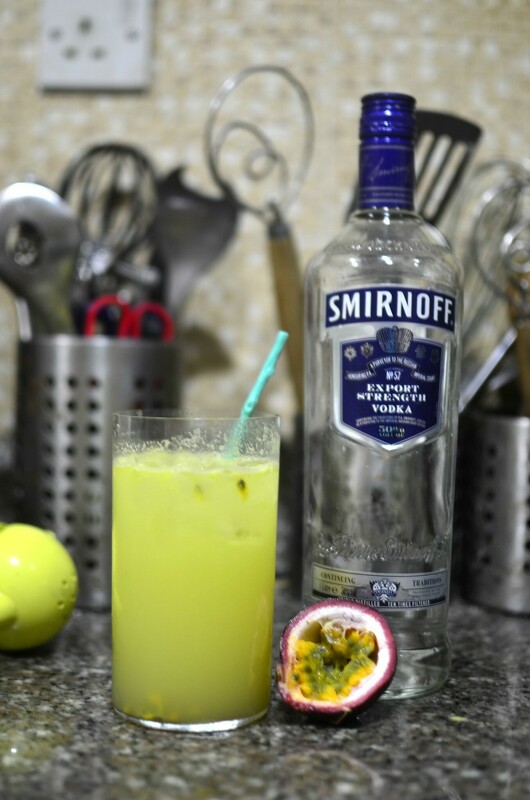 What’s your favourite passion fruit cocktail?